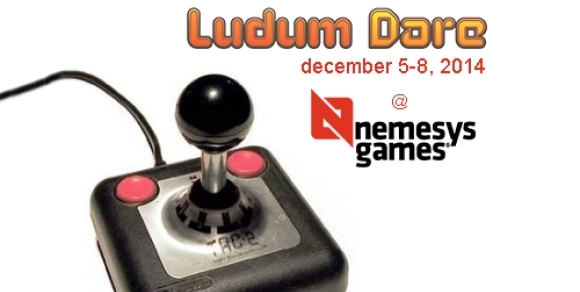 Edit: Due to some unforseen circumstances, we will have to cancel our hosting of Ludum Dare 31. We apologize to anyone who was looking foward to the event (we were too). The good news is we are already planning for the Global Game Jam next month! We'll be announing more on that sometime early January, so stay tuned! Join us for for our first Ludum Dare game jam! The event will take place this weekend, December 5th-8th for 72 hours. This is a bit extended from our previous events, but we are always up for trying new things. Nemesys Games has had a great amount of fun with Globlal Game Jam and the community that surrounds it in the past, so we wanted to try out another version of our beloved tradition. We will be hosting this jam at our new office at Elnok Utca 1 1089 Budapest, Hungary. There should be plenty of stations for people to work at, but bringing your own laptop is always welcome. Feel free to shoot us a line if you have questions!